If you’ve ever been pulled over for a traffic violation, you know that it is a frustrating, stressful experience. You might have been pulled over because you made a mistake—or even because the police officer did. Making mistakes is human, which means that traffic tickets aren’t going away. A recent article in The Atlantic reports that Google’s self-driving cars have never gotten a ticket—which is pretty impressive, considering they’ve logged over 10,000 in Mountain View, California. 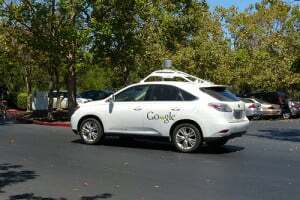 Sergeant Saul Jaeger of the Mountain View Police Department stated, “We have not cited any Google self-driving cars.” He also said that, to his knowledge, they haven’t pulled any of these cars over and let them go with a warning. What would happen, however, if one of these cars was pulled over in the future? Would the person sitting in the driver’s seat be responsible for the ticket, even though he or she wasn’t the one actually driving the car? Jaeger told The Atlantic that “the person seated in the driver’s seat is responsible for the movement of the vehicle” according to the California Vehicle Code. There is an exception, however: the passenger grabbing the steering wheel. We’d like to know what you think. Would you buy a self-driving car if it meant no more traffic tickets and reduced your risk of an accident? If you’ve been issued a traffic ticket, you can fight it. Call the experienced Everett, WA traffic ticket lawyers at the Law Offices of Jason S. Newcombe.